In the 1950s, a dedicated group led by Thomas E. Ward, Sr. built a vision for the BSUF. The organization was formalized as a Membership Corporation in New York in 1961. The foundation was granted an Internal Revenue Service exemption certificate in 1964 through the persistent efforts of this founding group. During its formative years, BSUF benefited greatly from the guidance it received from its early Directors. 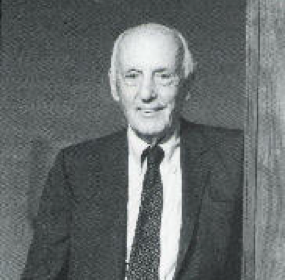 Sydney C. Waldecker, General Counsel and Chairman of the Executive Committee, led the Foundation through its earliest years, setting the standards by which BSUF operates today. Bruce F. E. Harvey played a key role as a versatile and tireless executive officer. John F. Rich, Honorary Secretary, provided many valuable ideas and suggestions. 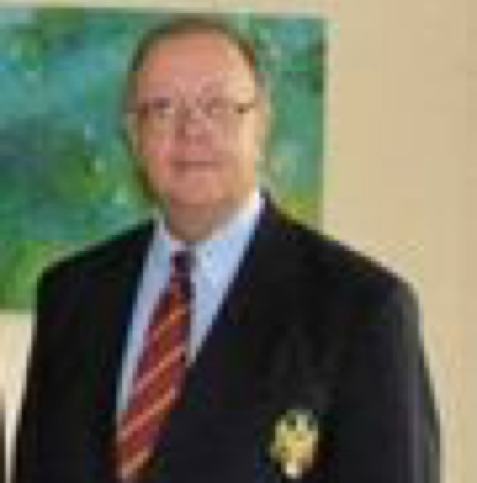 Lionel A. deCastro provided much-needed financial expertise as the first Honorary Treasurer. Both Arthur Grundy and A. Denys Cadman, Vice Presidents, contributed greatly through their executive abilities. In 1969, the Directors established the Thomas E. Ward Fund in memory of their first Chairman for inspiring and bringing about the formation of BSUF. Arthur Grundy was instrumental in securing the bequest that became the Richard A. and Kathleen B. May Memorial Fund in 1984. A bequest from former Chairman Emeritus Alan C. Root in 2006 made possible the creation of a third memorial fund to be used for scholarship grants to U.K. scholars whose studies or research can only be pursued here in the U.S. Among the most respected and inspiring of Wall Street’s business leaders for more than half a century, Al Gordon also served as a BSUF Director for 33 years. After earning his Harvard MBA in 1925, he played a dominant role in restoring the iconic investment banking firm of Kidder, Peabody from bankruptcy to a position of industry leadership. Known for his exemplary lifestyle, integrity and philanthropic activity, Al was an intellectually keen and very generous contributor to the success of this Foundation. He was elected a Life Fellow of the BSUF in 2004. Albert died at the age of 107. Tom worked at the Mene Grande Oil.Co., Standard Oil of California and for most of his career he was president of Oilfield Equipment Co., NYC. He traveled in the U.S. and abroad through work. He was also the U.S. Representative for the Eastern & General Syndicate, London, and assistant to the President of the Gas Co. of Vermont. Tom had a long affiliation with the British Schools & Universities Foundation, which supports British schools and universities and the academic work of British and U.S. scholars, holding offices over the years as Secretary, President, and Chairman. After military service, Denis worked at Chase Manhattan Bank, General Electric, and Pan American World Airways as their director of Cash and Banking. Denis then spent twenty years at Johnson & Johnson in various financial functions, including Assistant Treasurer for Cash and Banking. Denis kept up his academic interests throughout his life. He published four books and for many years was Chairman of the Executive Committee of the British Schools and Universities Foundation. One of his proudest accomplishments was being elected an Honorary Fellow of Lincoln college, Oxford University, in 2012. British Schools and Universities Foundation, Inc.
British Schools and Universities Foundation, Inc. is a non-profit educational, scientific and literary foundation. This foundation is tax-exempt. Contributions to it are deductible for Federal income tax purposes. Bequests, legacies, devises, transfers, or gifts to it are deductible for Federal estate and gift tax purposes.